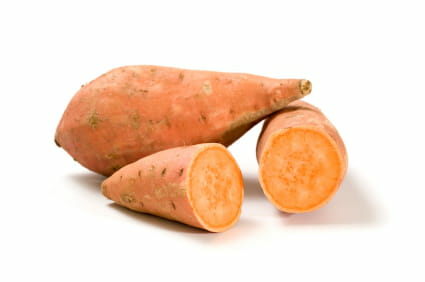 Two German scientists have proven the link between beta carotene and the resistance of the skin to Ultra Violet Rays. The scientists Wolfgang Köpcke of the CHU of Münster and Jean Krutmann of the Institute of environmental medicine of Düsseldorf published a study showing that people who consumed regularly fruit and vegetables which was rich in beta carotene had a more resistant skin to ultra-violets than people who consumed few. Beta carotene is a antioxidant pigment, present in certain fruits and vegetables, which takes part in their photosynthesis. It is particularly present in broccolis, carrots, sweet potatoes and dry apricots. Wolfgang Köpcke and Jean Krutman conducted a series of seven clinical trials. Their conclusions are that: the consumption of foods rich in beta carotene on a regular basis "protects the skin significantly against sunburn", they stress that a diet high in beta-carotene is followed over a long period of time. However, the study concludes the consumption of beta carotene does not replace the use of sun screen protection creams. Latest update on June 16, 2015 at 05:07 AM by Ambucias. This document, titled "Sweet Potatos Against Sunburn," is available under the Creative Commons license. Any copy, reuse, or modification of the content should be sufficiently credited to CCM Health (health.ccm.net).